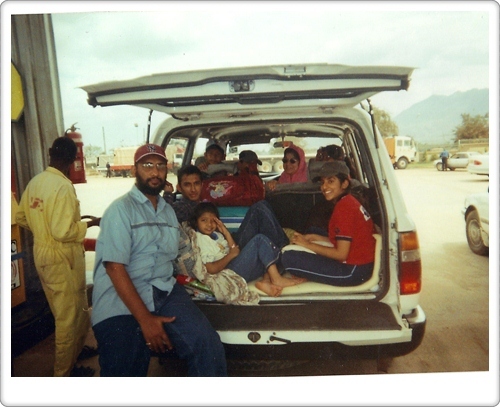 Technically my first visit to Tanzania was at the age of two, where we lived in a house in the Chumbageni area of Tanga for around 6 months, there is very little that I remember of that trip so I count my first visit as 2005 when I travelled to East Africa for three weeks in 2005 at the age of 15 along with my Father and younger brother. 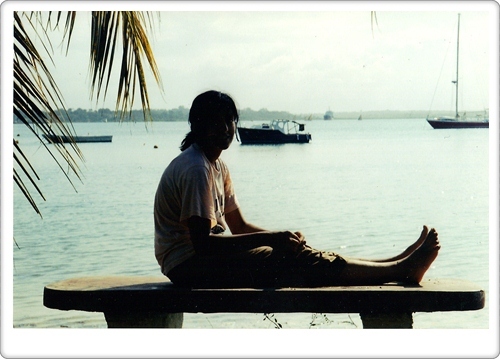 Starting in the capital of Dar-es-Salaam, we travelled through a number of town’s and cities, including the northerly sea port of Tanga, the place where my father grew up. Upon arriving in the African country there was one thing that hit me straight away, not the heat but rather the instantly more relaxed way of life. Coming from England where, apart from school, the majority of my weekdays would be spent at home watching television or reading a book, here it was the opposite. My dad, being a frequent visitor to Dar-Es-Salaam, was well known within the community and rarely would we pass along without him being stopped for a chat and a cup of Kawa, strong African Coffee. 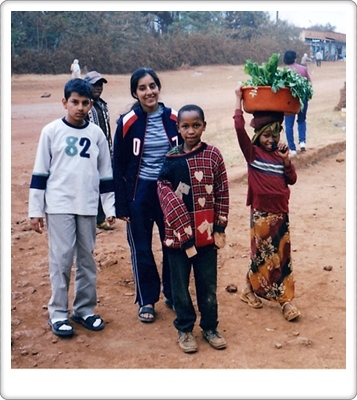 It was an experience for me as a girl raised in a country where even a smile from a passer-by was a rare occurrence. Business operated in a relaxed and calm manner, often I saw owners sitting outside the shop fronts sipping on a cool drink. This calmness proved to be a stark contrast to my first experience buying a bunch of flowers in the country. Driving with my dad to a main road where numerous flower sellers would gather on a daily basis to sell their wares, my brother and I naively wound down the car windows. My first few days were memorable ones and over the following weeks we took in numerous parts of Tanzania including Mikumi, Arusha, Tanga, Morogoro, Bagamoyo, Moshi and Pangani. One of the things I remember most about our coach journeys between the towns and cities were what me and my brother came to know as ‘box supermarkets’. At every coach stop you would find at your window a man or woman offering to sell you everything from roasted cashew nuts to bars of soap to hair brushes with all the items you could expect to find in a local corner shop immaculately crammed into a tiny cardboard box. 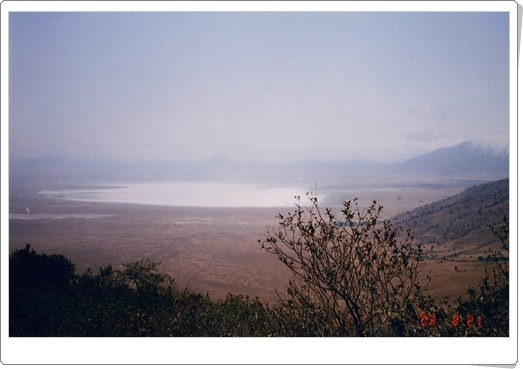 A conservation area and UNESCO World Heritage Site, Ngorongoro crater is situated around 110 miles north of the city of Arusha. 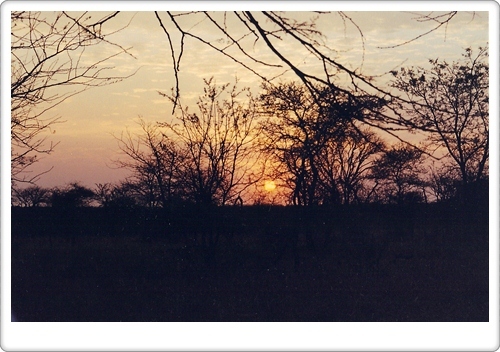 Founded in 1951 the area was once a part of the Serengeti National park. Once a thriving area of wildlife home to a great many species of animal, including the elusive rhino, the number sadly appeared to have dwindles by the time of our visit there. 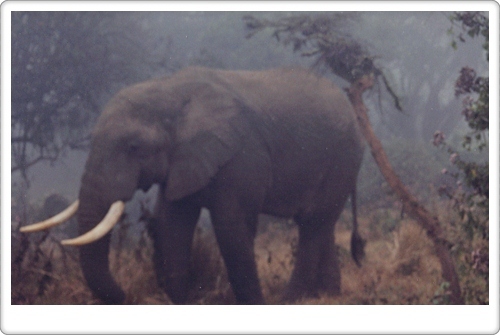 We did however have a hairy experience with an elephant on our camp site having woken up in the morning only to be informed by the masai guards that during the night the elephant had come within a few feet of our tent! On the way home from the crater we stopped in a small village and bought pencils, erasers and crayons for the kids, it was amazing to see the excitement on their faces for something me and my brother had at home in abundance. 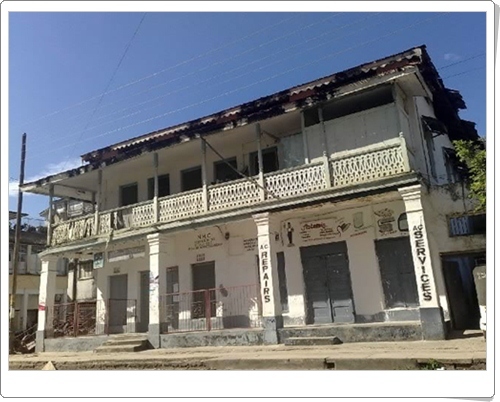 The historical town of Bagamoyo is steeped in history, once the capital of German-East Africa, it was also previously a slave and ivory port. It’s name translates literally in Swahili as ‘throw down your heart’. 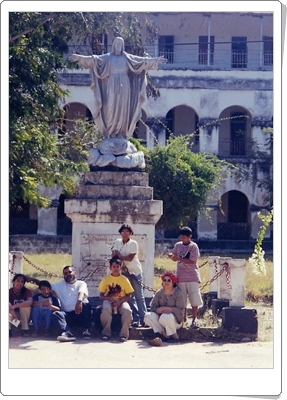 People who have passed through this town include the famous explorer David Livingstone. It’s town centre is under consideration as a World Heritage site. The town in which my dad grew up in Tanga, one of the largest town’s in the country whose biggest exports include tea, coffee and sisal. 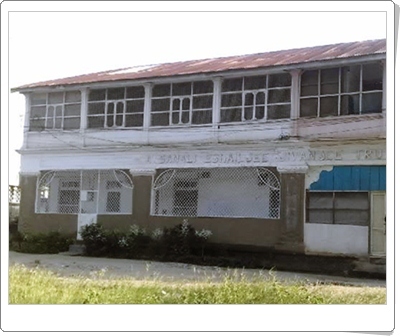 The former Tanganyika Produce Store, which was owned by dad's late uncle, Dawood.